Veterans are invited to hear updates from VA leadership, ask questions and provide feedback on VA services. March 28, 6:30 to 8: 30 p.m.
600 South 70th Street; Lincoln, Neb. What: Discharging Servicemembers, Veterans, their families and Survivors will be able to file disability claims, submit evidence, speak with a claims processor or healthcare representative and in some cases, have a VA medical exam completed all in one day. Additionally, representatives from Nebraska Department of Veterans Affairs will be assisting with applications and benefit questions. Where: UPDATED LOCATION: O'Neill Community Center, 501 South 4th St. There will be two mobile units on site from QTC and LHI. Mobile units are ADA compliant including a wheelchair lift. Questions? Contact your County Veteran Service Officer or the State Service Office at 402-420-4021. Come down and enjoy hamburgers, hotdogs, baked beans, and chips. Veterans, caregivers, Family Members or anyone who has a vested interest in Veterans information and updates is invited to the Veterans Town Hall, beginning at 6 p.m., Wednesday, June 27, at the Nebraska Prairie Museum, 2701 Burlington Street, in Holdrege, Nebraska 68949. Subject matter experts from the VA Nebraska-Western Iowa Health Care System will be on hand to provide current and topical information to the public. A question and answer session will also be included, in addition to information tables. Media interested in attending the event should arrive at the Nebraska Prairie Museum no later than 5:45 p.m., Wednesday. The Omaha National Cemetery and the Nebraska-Western Iowa Healthcare System (NWIHCS) will commemorate Memorial Day with a ceremony on Monday, May 28 at 11:15 a.m. at the Omaha National Cemetery. Join us in honoring our fallen heroes. 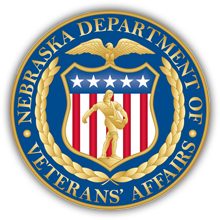 The Department of Veterans Affairs (VA) Nebraska-Western Iowa Health Care System will host a Town Hall meeting on Wednesday, March 28th at the Norfolk Senior Center, 307 West Prospect Ave, Norfolk, NE beginning at 6:00 p.m. Veterans, family members, survivors, and the public are invited to attend. The meetings are intended to provide an open forum for VA to hear directly from beneficiaries to continue our system-wide improvements for Veteran health care. This Town Hall is part of an ongoing effort to regularly meet with Veterans across the health care system. “All Veterans and their families are encouraged to come out and bring questions or concerns about VA health care and benefits,” said André Kok, Public Affairs Officer. “Town Halls are a great way to learn about what is working well and ways we can improve our services.” VA staff will be available to respond to a range of questions including the Veterans Choice Program, enrollment and eligibility, travel, and local clinic services. Added to this Town Hall is a special recognition of Vietnam War period Veterans. VA Nebraska-Western Iowa is proud to take part in this national effort to thank and honor Vietnam Veterans as part of the 50th Anniversary Commemoration. During a brief ceremony, Vietnam Veteran lapel pins will be presented in a dignified manner to each Vietnam Veteran or family member along with remarks to reflect the nation’s thanks for their service and sacrifice. For more information about this event, please contact André Kok, Public Affairs Officer at (612) 207-4106.